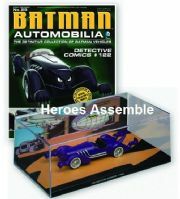 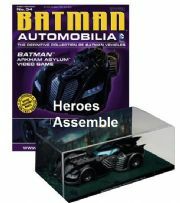 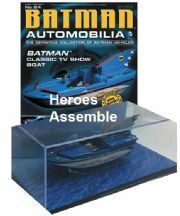 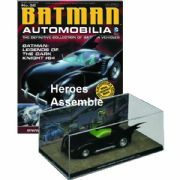 The Batman Automobilia Collection from Eaglemoss gives collectors the most definitive collection of Batman's vehicles ever assembled. 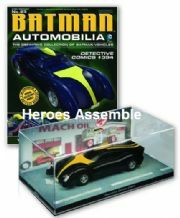 These amazing die-cast vehicles reproduce the Batmobiles that have been seen in comics, on television, and in the blockbuster Batman movies since Batman's debut in 1939. 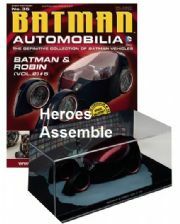 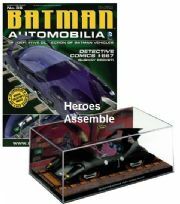 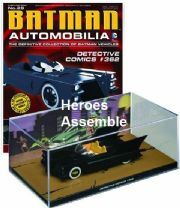 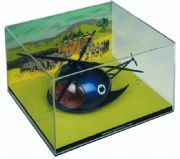 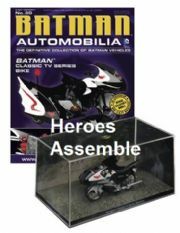 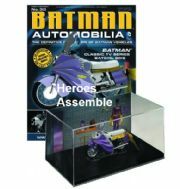 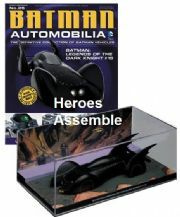 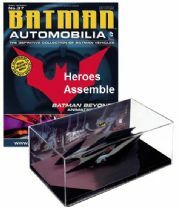 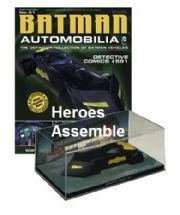 Each Batmobile comes with a unique 3-D lenticular backdrop that creates a detailed scene of the Dark Knight and his vehicle. 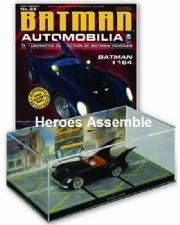 Perfectly reproduced at 1:43-scale, these die-case vehicles have additional metal castings for extra detail, including gadgets. 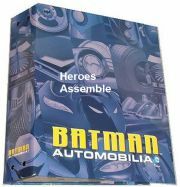 Every vehicle also comes with an informative 12-page magazine that looks at the history of the vehicle - and Batman himself.